I like to think I’m the self-proclaimed Scrooge of Diwali. I do not celebrate this festival and have more reasons than I have fingers on my hands not to indulge in the festivities that everyone else around me and in my family get into a frenzy about. First of all don’t get me started on the fireworks. I simply HATE fireworks and see no reason why so much money should be wasted blowing up various rockets and crackers. Fair enough if you want to argue it’s your money and you can do whatever you want to, but just as you are entitled to your opinion I know very well I can also have my two bits worth. Fireworks are obnoxious at best of times and pollute the environment with all the residue from the gunpowder, the stupid noise pollution, the frightening and scary sounds that have kids and animals whimpering and cowering in fear. I could go on. I’d rather spend this money feeding a hungry child, or let’s just be realistic, buy a new handbag, why lie. I asked a few people what the meaning of Diwali was to them and not one could give me an answer, and this was just the adults! I asked some children who wanted a day off from school because this is a religious festival and their parents thought it would be a good idea for them to take the day off from school. When I asked them what religious significance this day had to them, they had no answer for me. Am I too cynical? Rightfully so! Here you are celebrating a day and you have no reason why you’re doing it. I fear for my sanity surrounded by people like that sometimes. Just because I have no reason to celebrate doesn’t mean I look down or sneer your beliefs. Do have a fantastic Diwali and a prosperous New Year. May love and light be filled in your homes and hearts and may abundant health and wealth always be yours. Having said that, I’d write more or less the same message on a birthday card to you so I suppose it’s just me trying to say have a nice day. Light a Diya (oil lamp) not a Firecracker. Nobody has said don’t celebrate Diwali. 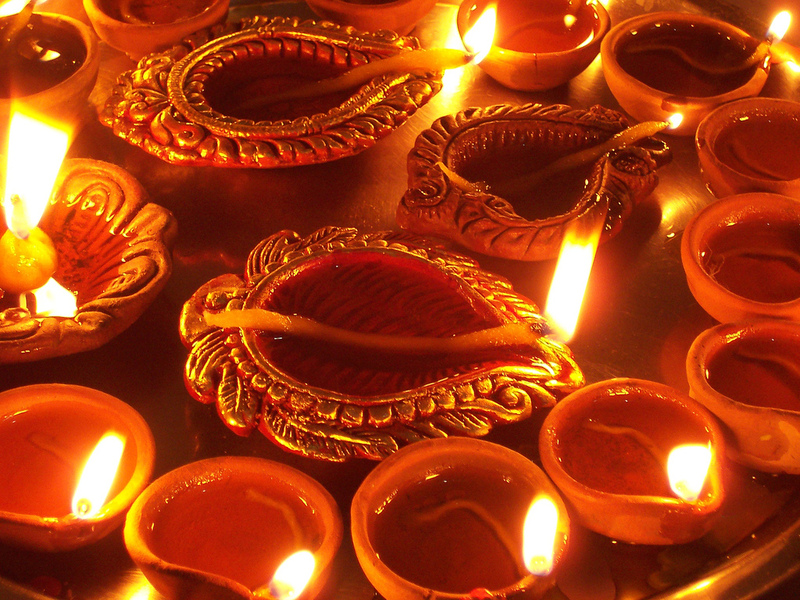 It’s the Festival of Lights…. not Firecrackers. Previous Did I deny him the chance of playing God…? Next Can a soul hurt?